The Woodpeckers are one of the more popular of the avian families. What’s not to like about woodpeckers? They laugh, they bang their heads against dead trees, poles, and even houses, and they don’t think twice about visiting feeders. 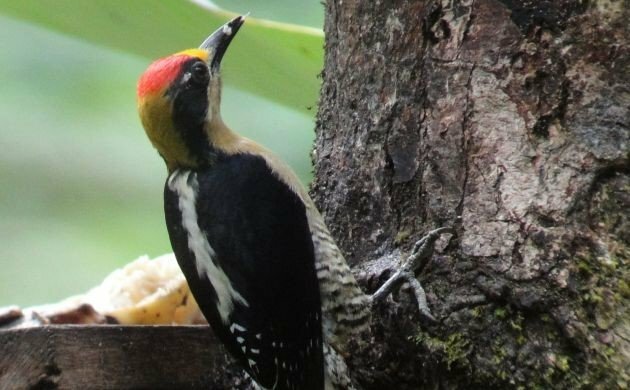 Those woodpeckers are some smart-looking birds, and Costa Rica has her fair share with 16 species that head-bang from the dry forests of the northwest to the high-elevation rainforests of the mountains. 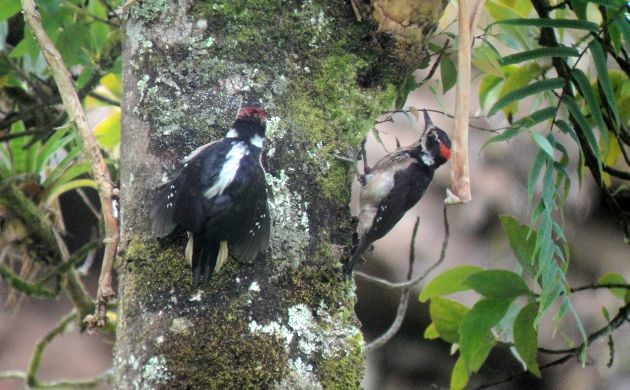 A local, brownish subspecies of the Hairy Woodpecker is one of this avian clan that resides in Costa Rica. 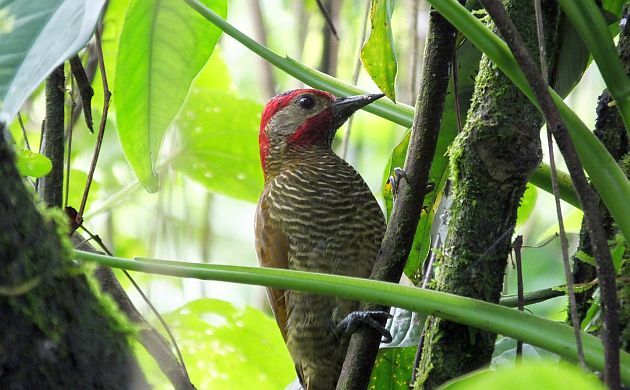 Hoffmann’s Woodpecker: A lot like a Golden-fronted Woodpecker, this beauty ranges from southern Honduras to Costa Rica. 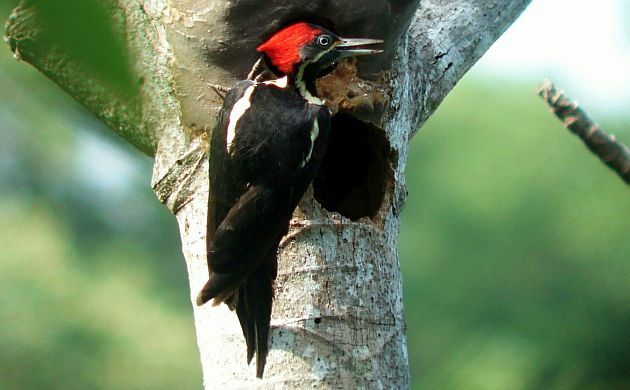 It’s also one of the most common and easily seen species, and the most likely woodpecker in urban areas of the Central Valley. A male Hoffmann’s Woodpecker looking for a banana. Black-cheeked Woodpecker: Another Melanerpes, this beauty is a common resident of humid forest and second growth on the Caribbean slope. Black-cheeked Woodpecker- the standard woodpecker of the Caribbean slope. 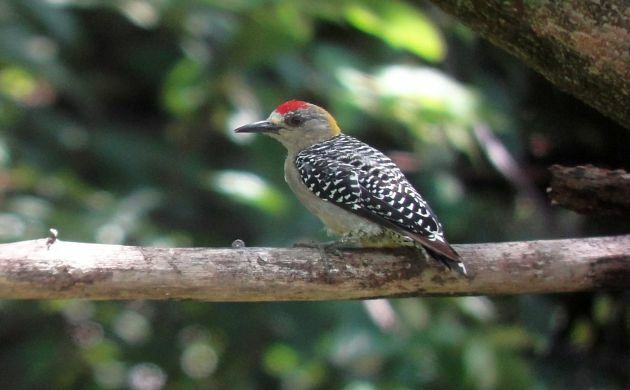 Golden-naped Woodpecker: Now we are getting exotic! 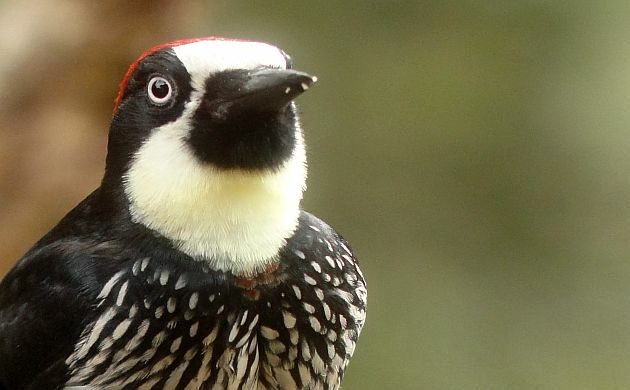 Looking like a Northern Three-toed that took a permanent tropical vacation, this woodpecker is a stunner that only lives in the rainforests of southern Costa Rica and just across the border in Panama. A male Golden-naped Woodpecker. Can you believe that this species comes to feeders in some places? 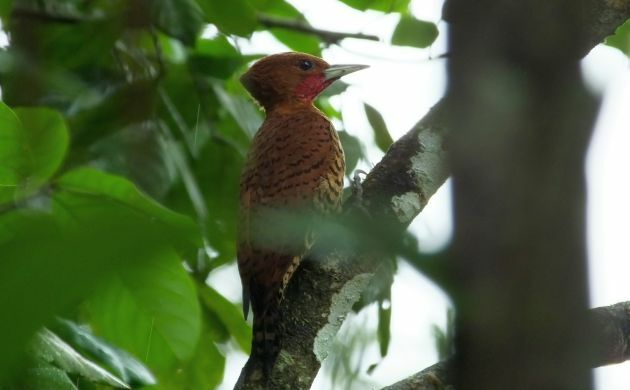 Golden-olive Woodpecker: Is it golden? Olive? This common, cloud forest resident is both bronzy and beautiful. Cinnamon Woodpecker: Like the flavor of the same name, this woodpecker adds spice to every vacation. As with other Celeus species, this woodpecker is truly tropical, and has a three-noted, piping call. Watch for it in humid lowland and foothill forests on the Caribbean slope. A Cinnamon Woodpecker pauses in the rain. 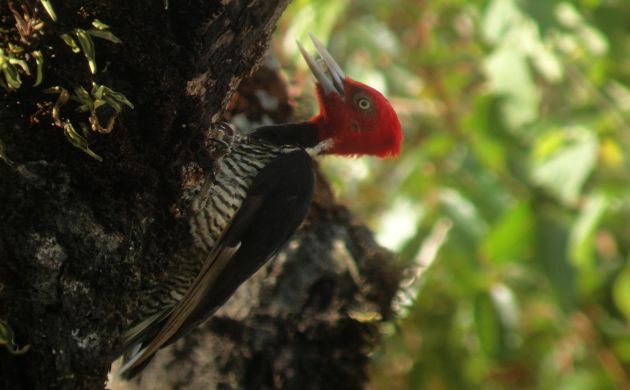 Lineated Woodpecker: Pileated Woodepeckers might not live in Costa Rica but Lineateds do! A bit like a flicker, this common, widespread woodpecker lives in semi-open areas and eats ants. A Lineated Woodpecker looking for ants in Costa Rica. 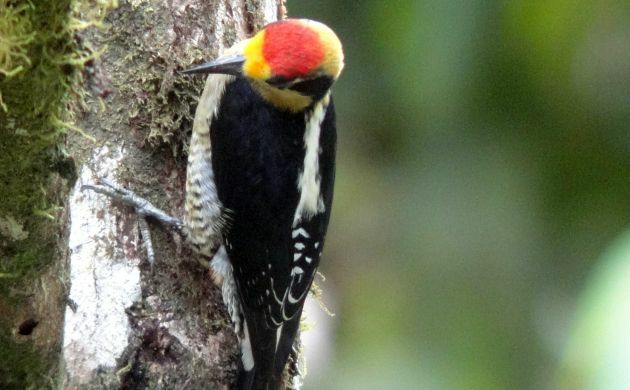 Pale-billed Woodpecker: Want to hear that infamous double-knock in Costa Rica? Listen for it in lowland and foothill tropical forests in many parts of the country. A Pale-billed Woodpecker eats a grub in Costa Rica. Acorn Woodpecker: Yes, widespread but this clownish woodpecker is entertaining no matter where you see it. In Costa Rica, family groups laugh it up in highland oak forests. Acorn Woodpecker coming to a feeder in the Dota Valley of Costa Rica. 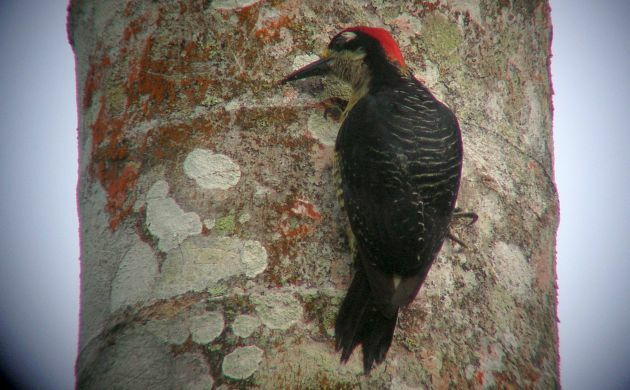 Fortunately, most woodpecker species are fairly common in Costa Rica. That means that you can count on seeing several of these cool birds when the trogons, motmots, and umbrellabirds refuse to cooperate.